Cervical spondylosis is an age-related degenerative condition of bones, cartilages and disc causing wear and tear of the spinal disks in the neck. The condition is common in middle-aged and elderly people causing spinal disks dehydration and shrinkage affecting the flexibility of the neck joint movement. According to Ayurveda, aggravation of Vata is the main cause of degeneration of tissues and the joints of the neck. Various factors can lead to the degenerative condition including cool and gas-forming foods, astringent foods, long meal gaps, smoking and low consumption of food. The risk of developing cervical spondylosis increases with age. 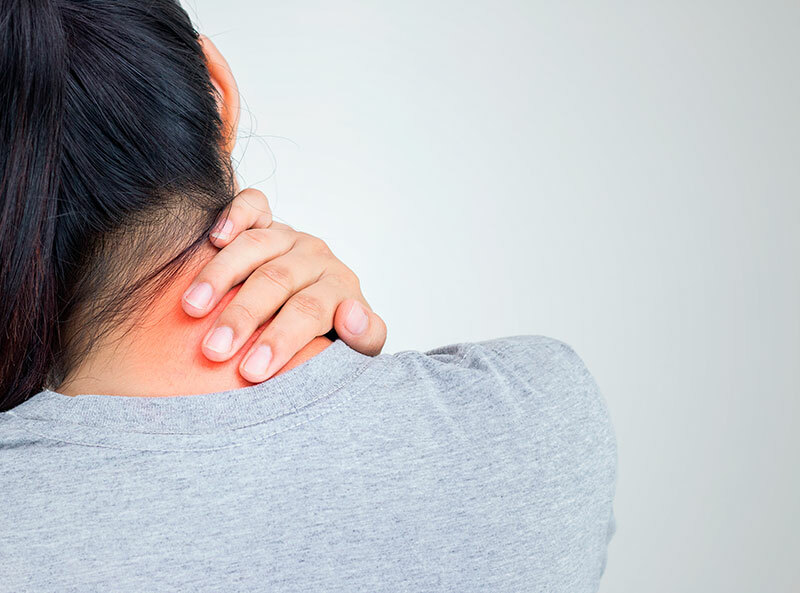 Several physical conditions like prolonged sitting can put excess strain and pressure on the neck joint increasing the risk of bone erosion and low bone density. If left untreated, the situation can worsen causing more complicated conditions like a herniated disk. The doctor conducts a physical and clinical examination to locate the source of pain by checking the range of motion in the neck and tests the reflexes and muscle strength. For more detailed diagnosis an MRI scans is recommended to understand the condition. Ayurveda aims in bringing in harmony and balance of the doshas in the body. Imbalance in the vata is considered as the main cause of any kind of irregularity in the body’s vital functions affecting the daily routines. At Ayur Bethaniya Ayurveda Hospital, the ayurveda specialist diagnosis and find out the abnormality in the body caused and tailors treatment plans that help to pacify the aggravated Vata. Along with the treatment plan, proper meal plans and physical activities are also incorporated for faster and better treatment results. In cases of cervical spondylosis, the Ayurveda specialist tailors customized treatment plan according to the health condition of the patient. The aggravated vata are balanced through various combinations of Ayurvedic decoctions and with proper and adequate diet plan to improve digestion and enhancing the digestive fire. The administration of herbal medicines fastens the body tissue rejuvenation followed by panchakarma massage therapy to help the body get back to a state of balance and harmony. The treatment plan also includes Ayurvedic therapies for stress management, yoga asanas and medications that help complete body and mind rejuvenation. Ayurveda Panchakarma therapies for treating cervical spondylosis include Abhyanga swedam, Elakizhi, Nasyam, Shirovasti or shirodhara, Sarvangadhara, Greeva vasti, Navara kizhi, Pizhichil etc to relieve pain, inflammation of muscles and ligaments and to improve the flexibility of neck bone joints. All treatment therapies are managed to depend upon the condition of the patient and severity of the disease. To discuss your condition and to know more about Ayurvedic treatment options for cervical spondylosis and treatment cost, book an appointment now.